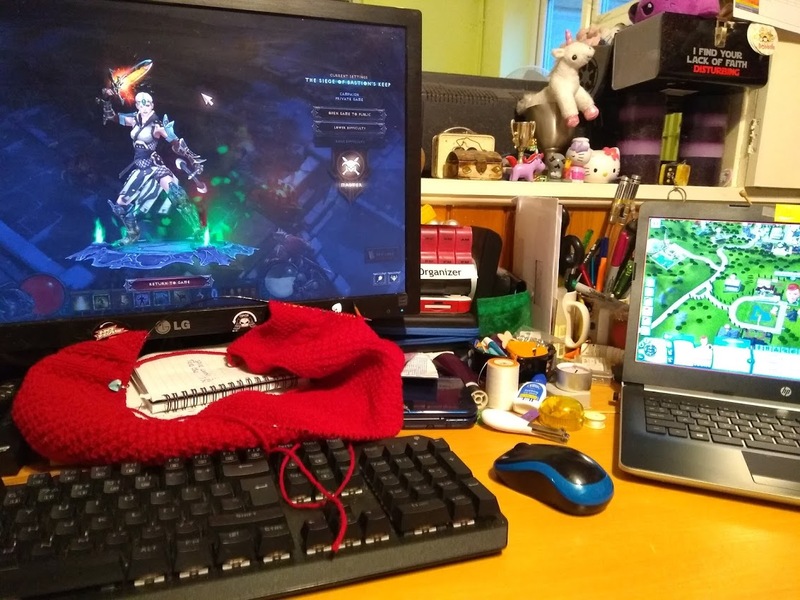 Today has been gaming, with a smidge of knitting. Knock on wood, Diablo III has been stable, which means actually playable. I get really put out when it drops me, which is dumb. It’s not like its predecessor where your map stayed the same in solo mode, and I’ve mainly gotten over my need to map every nook and cranny. That’s about it, really. I’m tired, my cold persists, but on the whole I’d call things good.